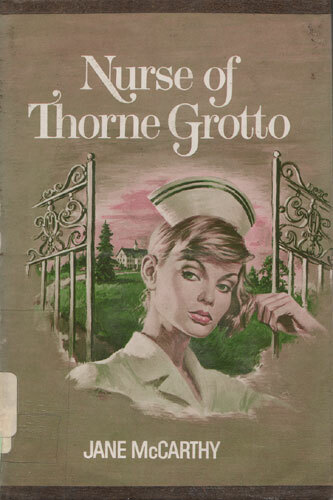 Recovering from a broken love affair and in need of money to pay bills incurred during her mother’s long illness, Lovely Noel Savant agrees to attend a patient at Thorne Grotto, the hideout of Sir High Thorne, a self-made millionaire, now a recluse. Suffering from gout, Sir High is irascible, fighting Noel’s every ministration. And his physician, Dr. Young, is skilled in acupuncture but seems to ignore the proper medical treatment both of Sir Hugh and of his handsome young nephew, Jeffrey Thorne, who, stricken with tetanus after a fall from his horse, will die within hours unless he receives proper medical attention. Mystery and adventure follow Noel as she travels with Sir Hugh to Washington, where he is to speak before the Senate regarding a conspiracy to corner the grain market. Sir Hugh is faced with treachery and deceit on all sides, even from his daughter, Carol, who has apparently abandoned her family. But both Noel and Jeff have faith in the girl, and Dr. Callum Winchester, Noel’s old flame, appears on the scene, determined to discover the truth. How Noel escapes almost certain death and finds love and happiness makes fascinating reading.